The part number for this item is: 70-2257 and it fits 2010-2014 Chevrolet Camaro SS (6.2 V8 Models). Order an optional Extender set below! 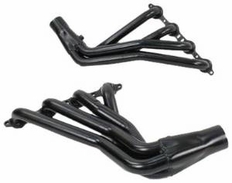 These Off Road extenders work in conjunction with your Pacesetter Long Tube Headers (part #70-2257)and eliminates your catalytic converters, bolting right into your existing exhaust system.